At Cathedral Dental, we take pride in providing you with outstanding and fully personalised care. We opened our doors 24 years ago and our patients have kept coming back ever since! We are closed for lunch between 1 - 2pm and open on Saturdays by appointment only. We want to see you smile more. 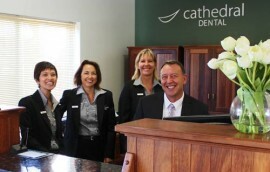 Cathedral Dental is ingrained in human qualities – compassion, knowledge, trust, experience and integrity. It’s our promise to continue to provide you with world-class dental treatment, so you can keep on smiling. Our staff will greet you with a smile and see that you are well looked after. We want you, to go home happier than when you came into our clinic. Get in touch now. We’re passionate about your smile! It’s unfortunate that some people experience anxiety when visiting their dentist. We believe in changing this perception for the better. 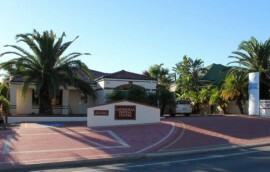 At our clinic, we provide a pleasant environment in which you will feel comfortable and relaxed. Our friendly staff will help put you at ease and are there to answer any questions you might have. Our dental technicians are among the best-trained and most proficient in Australia. We use only the very best equipment and materials available, incorporating new technology to further improve your dental experience. We provide you with exceptional treatment and a wide range of market-leading options that we would offer to our own friends and family. As a result, our patient satisfaction is sky high - and our referral rate reflects it! We are currently taking on new patients but available places are limited. If you would like to join the Cathedral Dental family, please contact us now for a first appointment!